John Surtees was one of a kind in the Formula One. After his many successes in the motorcycle racing, he made the decision to move to the Formula one. 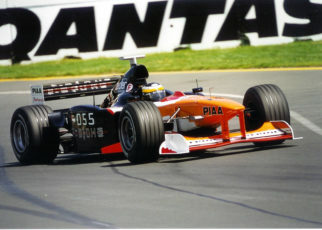 His first season with Lotus was reasonable with a second place as best result. While driving for Ferrari he became the world champion of 1964. In 1970 he debuted his own “Team Surtees” in the Formula One, the team existed for several years. Untill John decided in 1978 “Enough is enough”, the team was already working on the Surtees TS21 and what if they stayed in the Formula One? The first few seasons where quiet successful for Team Surtees in the Formula One with decent drivers and good results. 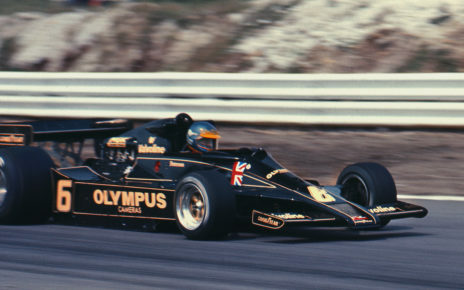 However during the 1974 and 1975 season the team came in financial struggles, there was no main sponsor, they had to use “pay drivers” and eventually there was not much money left to develop the car. The next season’s Team Surtees as a reasonable team scored some points and had some excellent drivers. However, during an interview John Surtees gave to Autosport in 1978 when he was hospitalized he said, “Enough is enough” referring to the struggles those days in the Formula One. 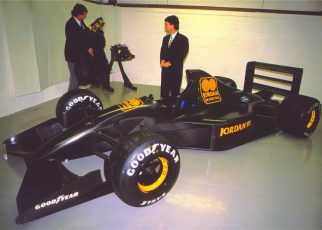 These days it was hard to negotiate with suppliers of tyres, engines and so on. Only the big teams received the best products. 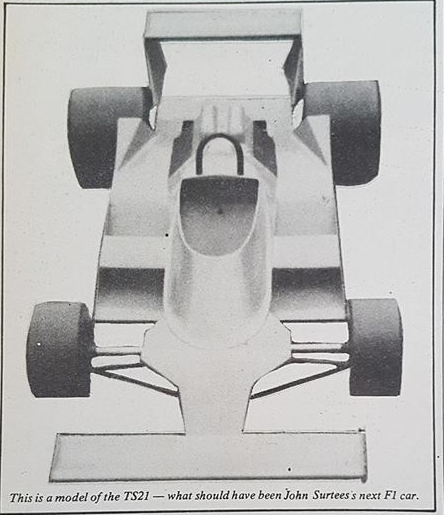 The most interesting was the fact that Team Surtees was already developing and working on their new Surtees TS21, it would have been a new generation Formula One car. Looking at the “drawing” model of the Surtees TS21 it looks like a decent car that could have scored several points. John Surtees also mentioned that the team would keep on continue developing the Surtees TS21 and use the base of the car for a new designed Formula Two car. However, the story only becomes better. 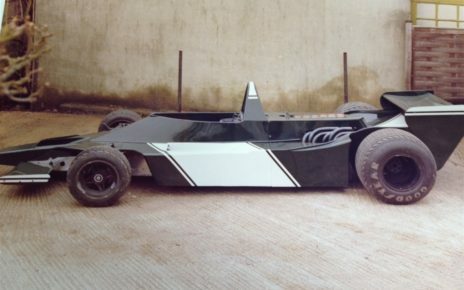 Gordon Smiley drove in the newborn AFX series, more a Formula One B series where older F1 cars where used to drive mainly in Britain. Gordon Smiley’s Surtees TS20 was a decent car, if you can call it that way. During round 15 at Silverstone for the AFX Aurora series Gordon Smiley’s Surtees TS20 had some features of the unraced Surtees TS21. The new side pods Smiley added on the car came from the Surtees TS21, also some other small improvements came from the TS21. Which made the car more or less a Wing Car. 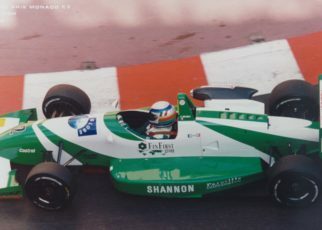 The car showed its progression by adding the car on the grid on Pole position, drive the fastest lap during the race and eventually win the race. An upgraded Surtees TS20 does not mean the TS21 would have been a great car, I agree on that statement. However, the few parts that were used by Gordon Smiley showed the improvement already. 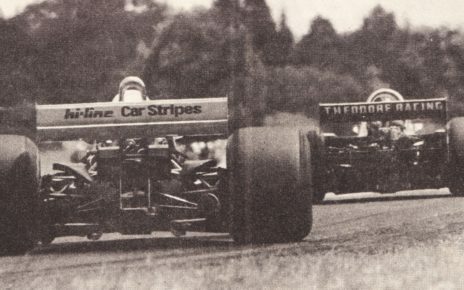 What if Team Surtees did drove in 1979? So one question is left, has the Surtees TS21 ever been built completely? Well it is known that the team had built a Wind tunnel model. Also many part of the TS21 where already manufactured. There were rumors that Team Surtees had one chassis completed and was already race ready. Back then, people have said that the chassis stood in the Surtees workshop. I was not able to have this confirmed or denied it seems no one know anything about it. There is video footage of Gordon Smiley driving in the Surtees TS20+ around Silverstone, and of course we will share It with you. Because the car looks pretty amazing!